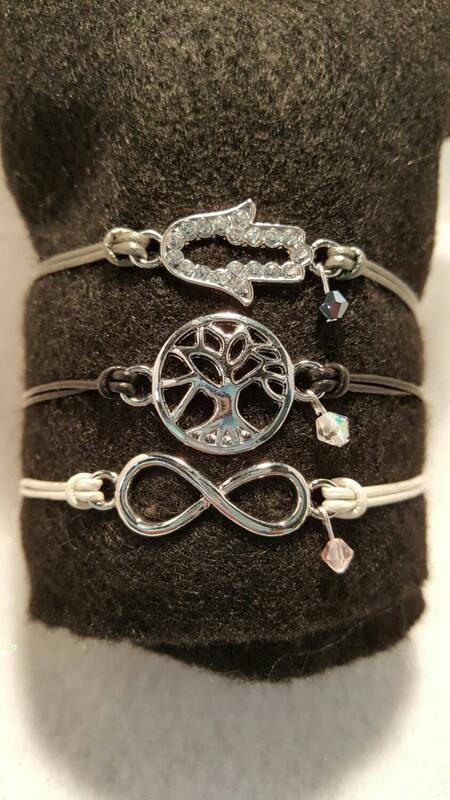 Tree of Life, Hamsa Hand and Infinity sign stack leather bracelets with Swarovski accents. Tree of life offers healing, rejuvenation and sustenance. The Hamsa provides protection and defense against the evil eye. The Infinity symbol represents eternity, empowerment and everlasting love. Set of three bracelets each strung on leather cord and adjustable. Swarovski crystals. Disclaimer: Jewelry, stones and other items are NOT meant to be used in replacement of professional medical care. Always seek medical advice with a healthcare professional. 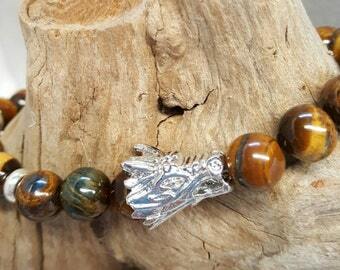 Unisex 9" Tiger eye and silverplated Dragon Head with silverplated spacer discs. Copper and shell beads make a beautiful 6.5" adjustable cuff bracelet. Weiss signed blue rhinestone earrings with unsigned brooch. 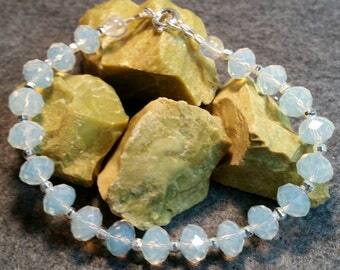 Blue Kyanite, Moonstones set in silver plated wire. 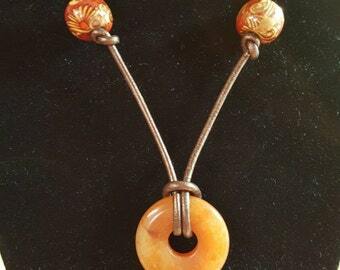 Double sided copper and agate pendant. Wear either side!